A match made in heaven! 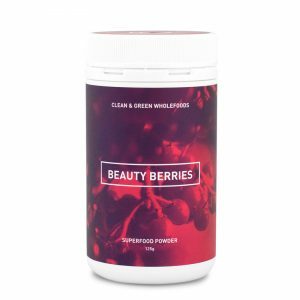 Beauty Berries – The Antioxidant Hero and Glowing Greens – The Alkaliser, work in perfect harmony to improve overall health, skin, energy and have you feeling just genuinely awesome. How do they do this? 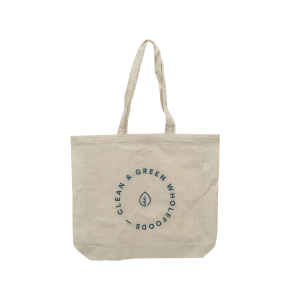 The combo work as a team to nourish, protect, alkalise and purify the body. What more do you want! 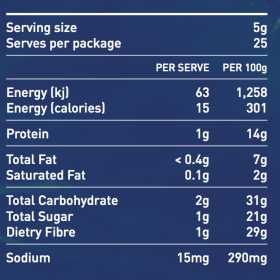 HOW TO: Mix in one teaspoon to water, coconut water, smoothie or sprinkle over muesli or oats. 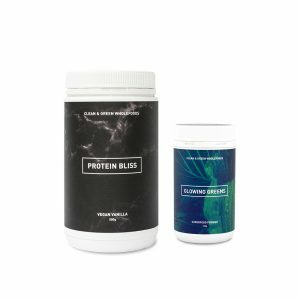 You can mix both powders together to save on time! Protects your cells and combats free radical damage. Reduces the signs of ageing and inflammation. 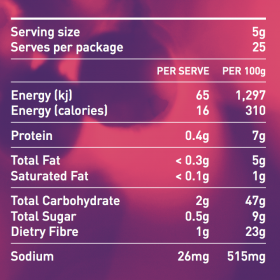 Packed with alkalising ingredients to balance pH levels. Strengthens the body and lowers the risk of illness. Gently cleanses the body of impurities, giving you a youthful glow. 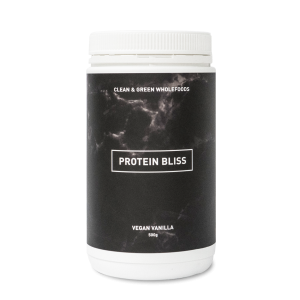 Supports and soothes digestive processes. Truly a match made in heaven.. 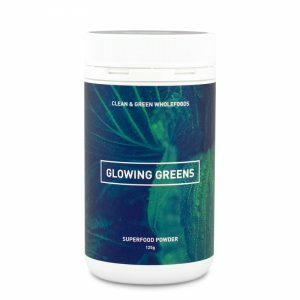 The glowing greens has increased my energy levels throughout the day and of course improved my digestive system. I take mine with coconut waters and its delicious. For a long time I could not seem to get my hair to grow past a certain length..Since taking the beauty berries I’ve noticed my hair to finally grow longer and overall thicker, which is something I have been trying to work on for so long! But what I love most is that the ingredients are the real deal.. feels amazing knowing your feeding your body with something extremely beneficial! This is the end of week 3 using beauty berries and Glowing greens combo. I have found that my skin has become visibly clearer and how it is regulating my bowel movements (which was a big thing for me) . I have the beauty berries in the morning and the Glowing greens in the afternoon. 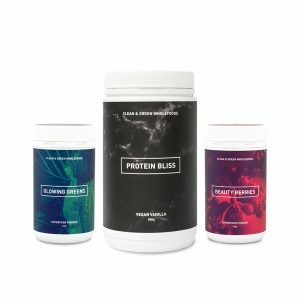 So far, I’m loving these products! My partner and I are both loving the beauty berries and glowing greens. We mix a teaspoon of each in our breakfast smoothies each morning. The berries taste like raspberry and the greens taste like coconut, so yum! It’s been two weeks and my skin is actually glowing, my tummy is feeling way less bloated and foods are easier to digest. I have been taking vital greens along with trying many other superfood supplements on the market regularly for the last few years.. Clean & Green whole foods TOP the list as the best tasting and most beneficial supplement I’ve had to date. 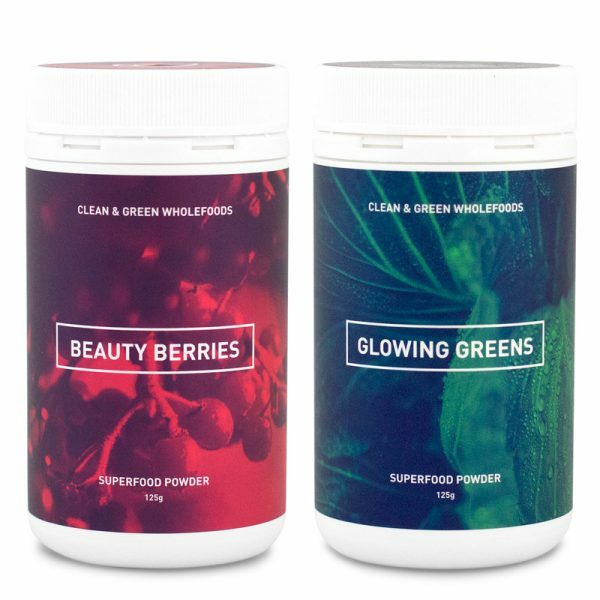 I take glowing greens in the morning religiously & beauty berries give a good kick when you’re getting tired – and taste amazing. I exercise & work a lot and still feel amazing at the end of the day. Highly recommended to anyone with a busy lifestyle or wanting to feel good on a daily basis!